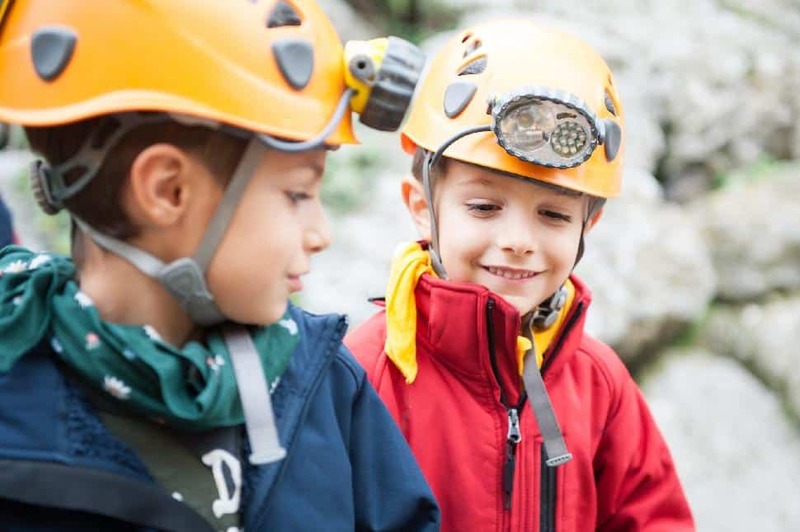 Remember, never go caving alone, tell someone your estimated time of return and have fun! 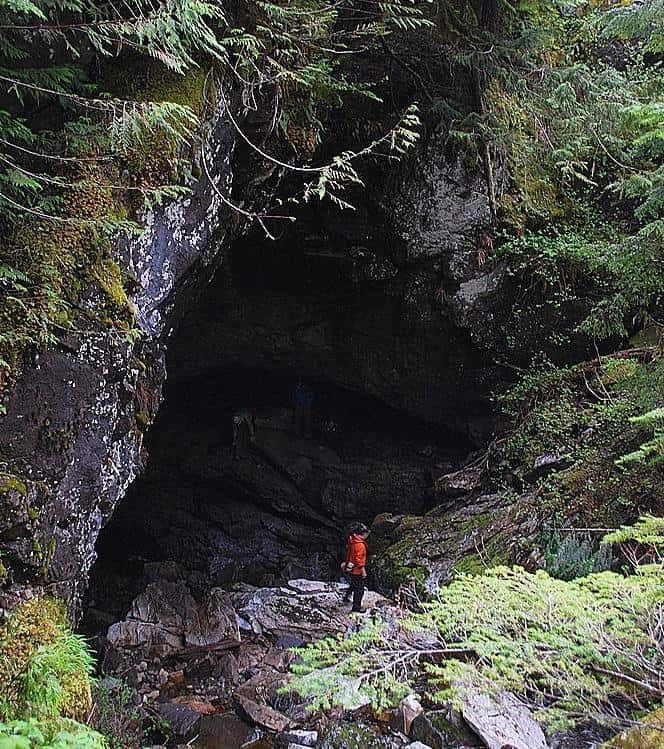 Did you know that Vancouver Island has the largest concentration of caves in North America? Nearly 4% of the island is 'karst' which is a landscape formed by the erosion of soluble rocks. (That's limestone, dolomite or gypsum.) These landscapes are characterized by sink holes and caves, which is the reason why Vancouver Island has more than 1,000 recorded caves. Location: 26 kilometres west of Qualicum Beach, off Hwy 19 or 19a. About: The caves at Horne Lake are easily British Columbia's most popular and accessible. The first written record of their existence dates back to 1912 but for decades they were only well known to loggers in the area. By 1939 Lower and Main Caves had been discovered by recreational cavers, though air currents in their chambers suggested the presence of a greater network. 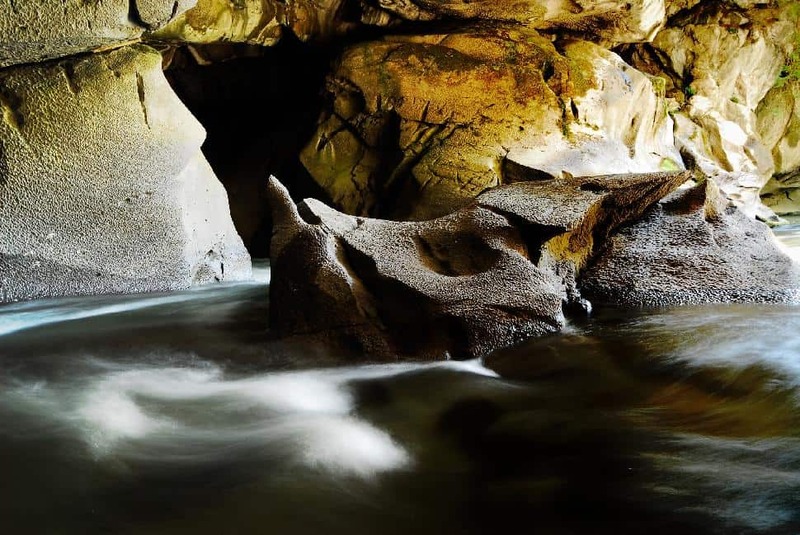 It wasn't until 1941 when a Qualicum shopkeeper stumbled upon the cavernous, 386 metre long Riverbend Cave. Visitors can self-guide themselves through the smaller caves, but the real adventure lies waiting within Riverbend. 386 metres in length and 68 metres deep. Hours: depend on which tour option you select. Family friendly tours run 90 minutes long from 9 a.m. - 5 p.m. daily, May through September. 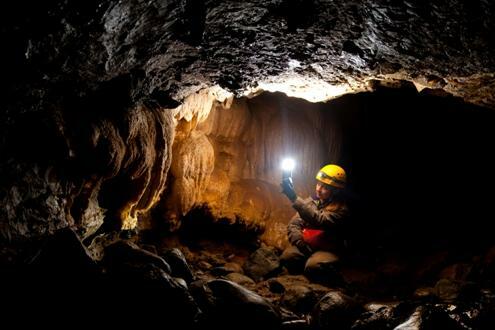 Three, four and five hour extreme caving excursions are also available. Navigate deep through the underground environment, see crystal formations that measure over forty feet tall, or opt to rappel seven storeys down an underground waterfall! Location: 25 minutes driving from Gold River along the road to Tahsis. About: The Upana Caves are a network with 15 known entrances, popular with casual cavers. Individual ones vary in length and size, and the system offers little-to-no creature comforts found in touristic caves. There are approximately 50 known caves in the Nootka Sound area but Upana is the most accessible. Location: Driving along the Island Highway (19) take the Zeballos exit just north of Woss. Travel along the gravel road and look for park signage. About: Small, scenic limestone caves and rock arches. Suitable for inexperienced cavers. Little Huson features sinkholes, canyons, and a river that appears and disappears. Approaching from the west, by way of Atluck Lake, a bridge has been removed on East Artlish Main approximately 50m from the Artlish Main Logging Road and visitors must now walk several kilometres on overgrown former logging roads to the park boundary and caves beyond. Trails receive limited maintenance and are difficult to access - please exercise caution. Deactivated logging roads into the park, approached from the east from the Zebellos Mainline, are also overgrown and difficult to follow. About: Artlish Cave Park is a remote park known for its stunning karst features. The park is 285 hectares in size. 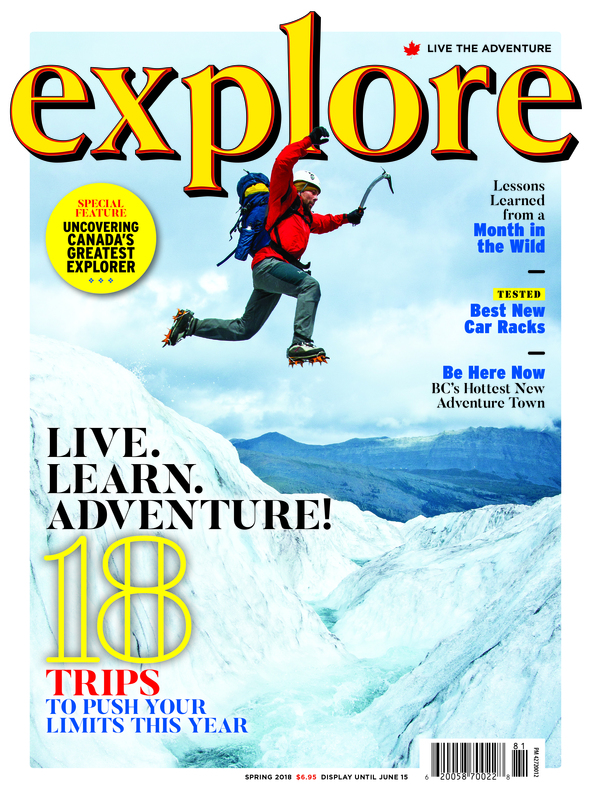 Adventurers love hiking its serene old-growth forests, exploring the two cave entrances and river system. Use caution on logging roads. Chance of encountering logging trucks is high and these vehicles always have the right-of-way. Routes to cave entrances are not marked. Primitive camping is allowed in the park but no amenities are available. Location: Between Port Alice and Port McNeil. About: The gorgeous karst landscape in and around Alice Lake is reason enough to explore this area, but four signature cave/features are particular highlights: Eternal Fountain, the Devil's Bath, the Vanishing River, and the Reappearing River. The full driving loop is roughly 100 kilometres long, taking a minimum of 2.5 hours. Location: Access road is 3 km north of Ainsworth Hot Springs on hwy 31. About: Cody Caves were first documented back in 1899 and have been popular with cavers since. It is a largely horizontal stream cave with calcite formations and 800 metres of explorable passage. 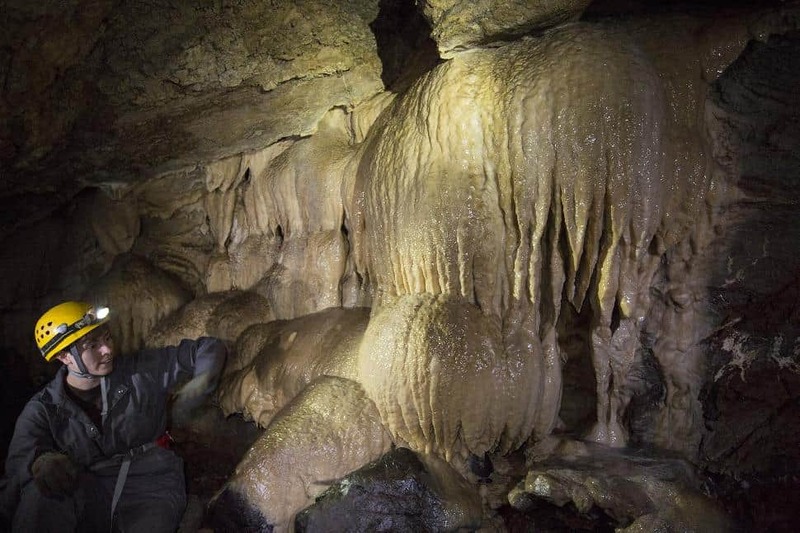 Cavers will see soda straws, stalagmites, stalactites, calcite, sedimentary rock formations and granite boulders. Tours are available. Click here for more information. Location: Evanoff Provincial Park (Hart Ranges of the Canadian Rockies), 121 km east of Prince George. About: Access Fang Cave via the six kilometre Fang Trail by taking the alternate fork which pushes along the ridge, above the bowl. Fang Cave was discovered in 1976 and is the ninth longest cave in Canada. It is situated among a diverse limestone complex, and includes other caves to explore, such as Tooth Decave and Window on the West. Fang Cave is only suitable for experienced cavers and hikers in this area should be bear aware. About: The park is home to three limestone cave systems, of which the deepest descends 253 metres! (That's Canada's ninth deepest cave.) Access is limited, as there are no trails which lead to these caves. For this reason, persons seeking out the caves should have experience and exercise caution. About: Kakwa Provincial Park's official park webpage makes no mention of caves but many lie within its boundaries. They have formed in the limestone and along contact lines with quartzite. Cave resurgences, in which the underground streams reappear at the surface, can be found in the Mount Sir Alexander and Mount Ida areas. 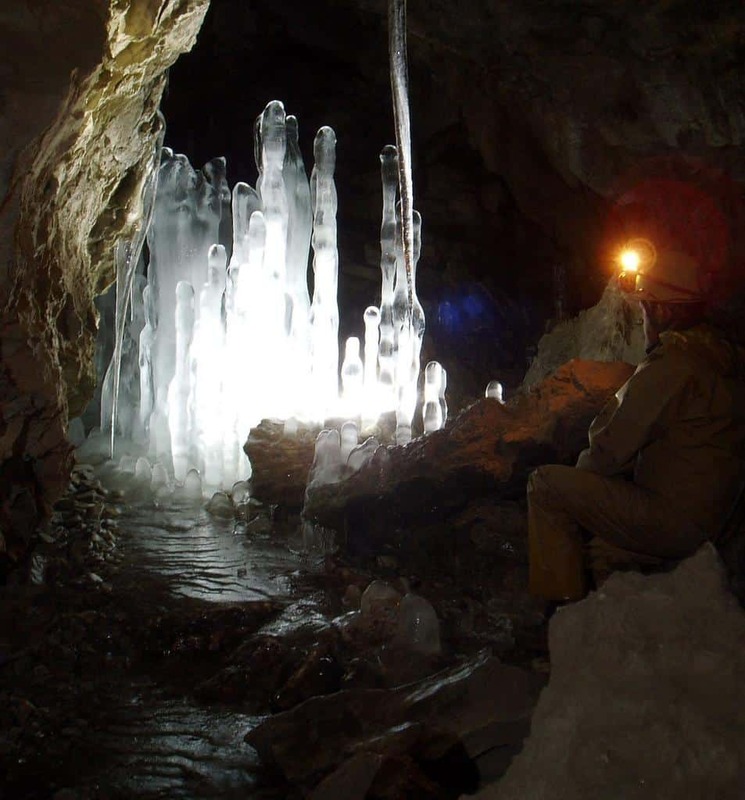 There are caves that have been partially explored, unexplored and even undiscovered, but extreme hazards do exist with these recently glaciated systems so it’s best to go with an experienced caving group. About: Monkman Provincial Park offers a real treat for cavers. Access the cave via the four kilometre Stone Corral Trail. The hike takes about three hours round trip. Corral Cave is 20 metres long and has smooth walls and vertical limestone cliffs that lead to a high ceiling. In spring and early summer the floor is covered in large icicles. Be sure to explore the back of the cave where one can spy a few small stalactites and spot moonsmilk. Caves are delicate ecosystems. One wrong move by an inexperienced visitor can cause irreversible damage to cave biota and formations. Tread very carefully. Do not touch the walls; walk single file. Conversely, caves can also be hazardous places to visit. Unless self-guided exploration is expressly allowed, only enter caves in the company of experienced guides. Check the Canadian Cave and Karst Information Server (www.cancaver.ca) for a list of caving clubs and guides in the province and to sign up for courses in caving equipment and techniques, accident avoidance, and rescue. One final tip: don’t call yourself a “spelunker” or experienced cavers will snicker. The term has become passé. “For those of us involved in cave rescue, there is actually a bumper sticker reading: ‘Cavers rescue spelunkers,’” says Whitfield. Have you been to any of the caves named above? 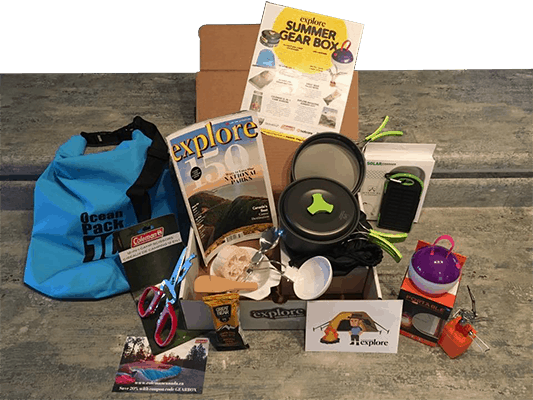 Let us know about your adventure - comment below!